With the world celebrating Nike Air Max Day today, there is a very justified spotlight on the Air Max 1 and the more successful Air Max models, but there’s a wealth of design gems in the Air Max line. 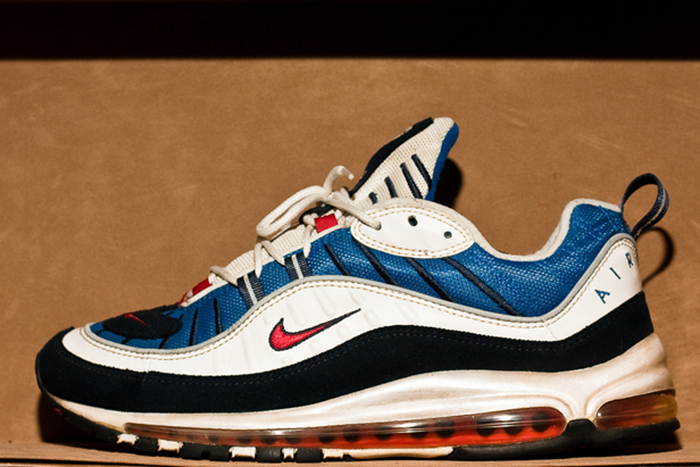 We take a look at 10 of the most underrated Nike Air Max sneakers. Starting in 1987 with the Air Max 1, the Air Max line has been churning out footwear genius for over 25 years. As well as creating some incredible models, the Air Max brand has swallowed up some older lines from the Nike Air brand and earlier as they get modernised through the Air Max technology. 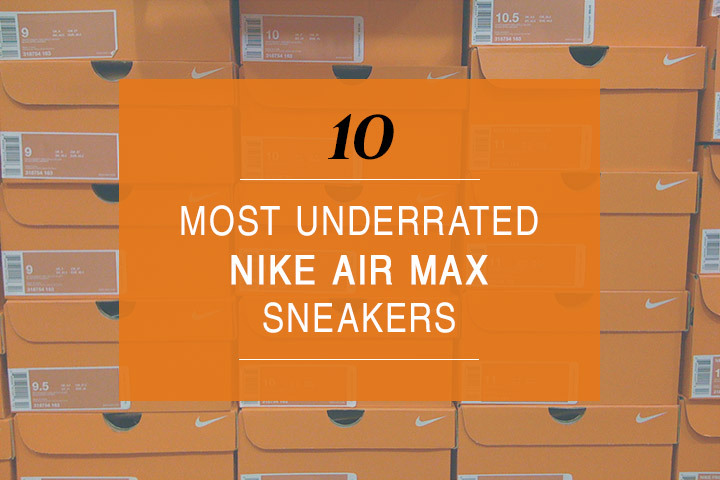 Throughout this list I’ve aimed to shine a light on some of the unsung heroes from Air Max, the ones that live in the large shadows of the Air Max 1, Air Max 95, Air Max 95 and Air Max 97. Some of these shoes are true beauties just awaiting their moment for a reissue, while some are products of their era, looking slightly less normal today but should be appreciated none the less. The one thing connecting all of these is that I feel they could be picked up by a keen eyed collaborator or Nike designer and brought bang up to date for today’s sneaker addicts. It’s important to also imagine all of these on your feet. That’s what they were designed for and that’s where they come to life. Originally released in 1992, the ST was the first shoe Nike used Footbridge technology in and was the largest window display of Nike Air to date. 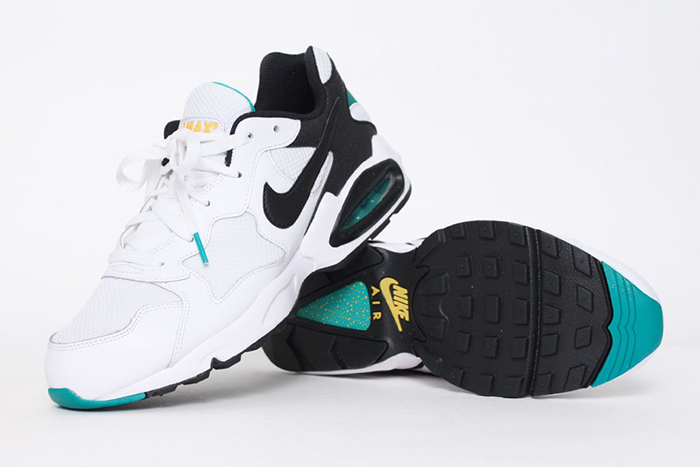 For some reason, it wasn’t an instant success and has never reached the hights of popularity that some of it’s Air Max brothers from the same era have, such as the Air Max 180 and Air Max 90. 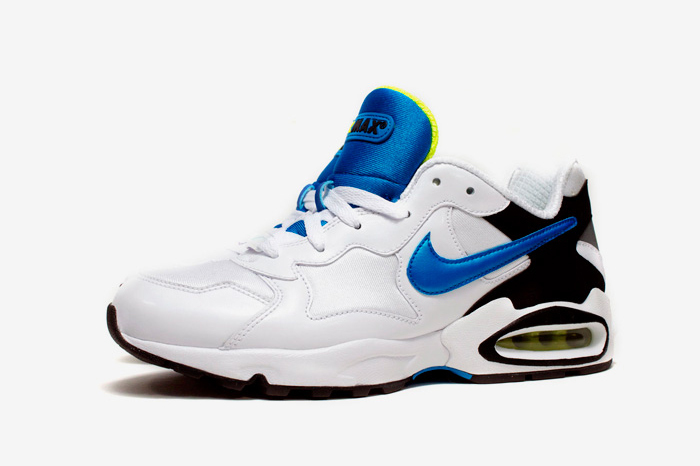 I’d even go as far as saying that I’m surprised that the Air Max 93 has recently been shown a lot of love over the ST. To me, this is the better shoe from that era. There’s something about the ST that is similar in style to the BW, a British adopted classic. 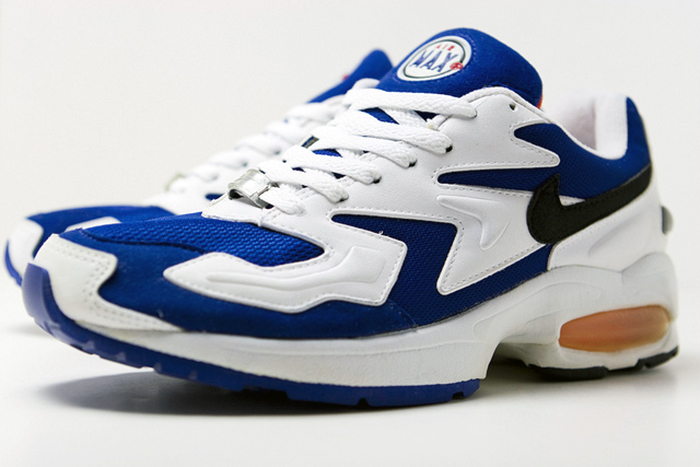 The ST is one of the less chaotic Air Max designs from the ’90s and there’s a strength in the calm simplicity of the design matched with the bulk and angular aesthetics. This shoe is actually tipped for a comeback later this year, but from what I’ve seen the materials aren’t quite right for the shape. Let’s hope some reissues more along the lines of those put out in 2009 will follow. 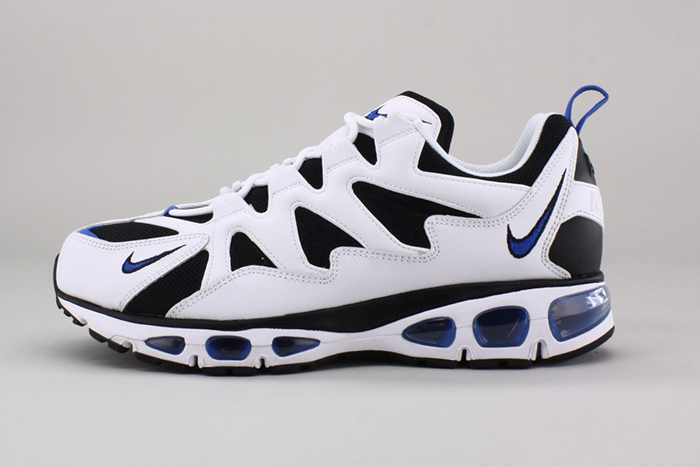 Following on from the Structure Triax, the Nike Air Max Triax released in 1994 and was another of the more understated designs of the times, sharing a lot of it’s design qualities with tennis shoes of the era. Plenty of white on the upper kept this shoe very clean, while the combo of leather and mesh kept it apart from all the suede/mesh combos in the Air Max line. This shoe actually has a very similar Air window to the Air Max ST and shares a lot of the likeable qualities in the shape. 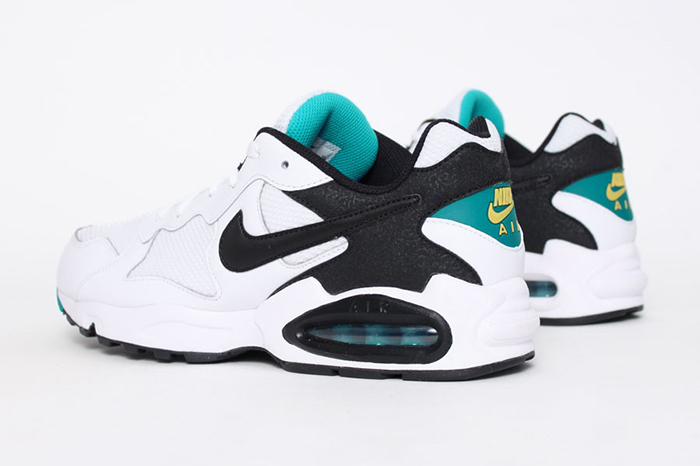 Reissued in 2010 under the name Nike Air Max Triax 94, this model is actually quite readily available at the moment with several colourways having released this year, but most people won’t have noticed. It seems to have lived comfortably under the radar for most people, but I think that it will steadily gain traction thanks to this year’s releases. 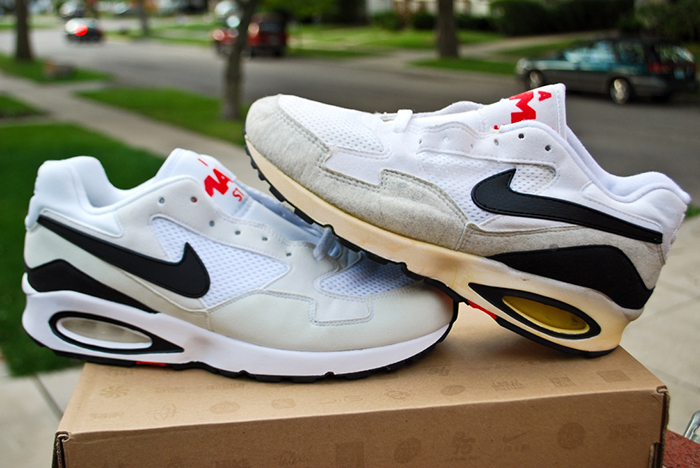 Shaving 1 ounce off the Air Max2 of the same year, the Air Max2 Light is the better looking of the duo released in 1994. 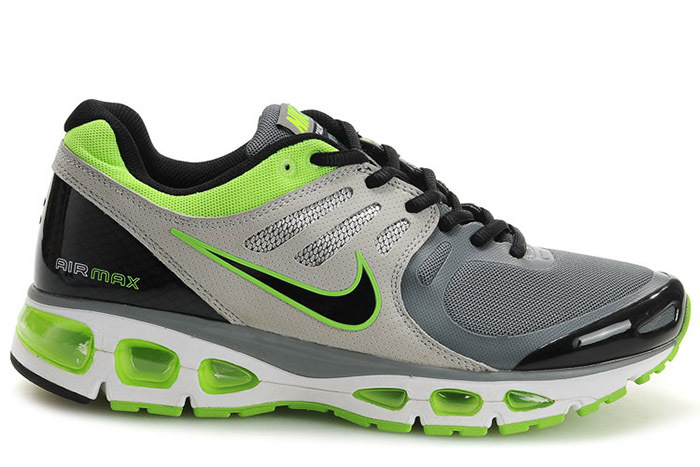 The Air Max2 saw the future of the Air Max system, introducing a 4 chambered unit with 2 different pressure systems. The outer chambers were 25 PSI while the inner chambers were a much softer 5 PSI for a more padded bounce. 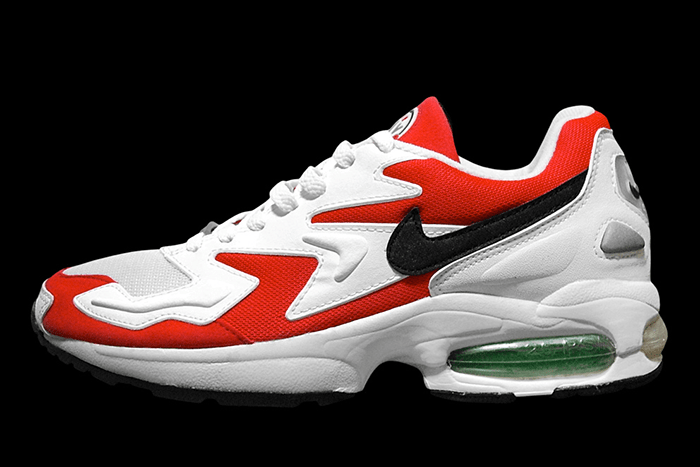 This unit was the next gen. of Air Max and the Air Max2 Light’s Phylon midsole made it even lighter for the runners of 1994. 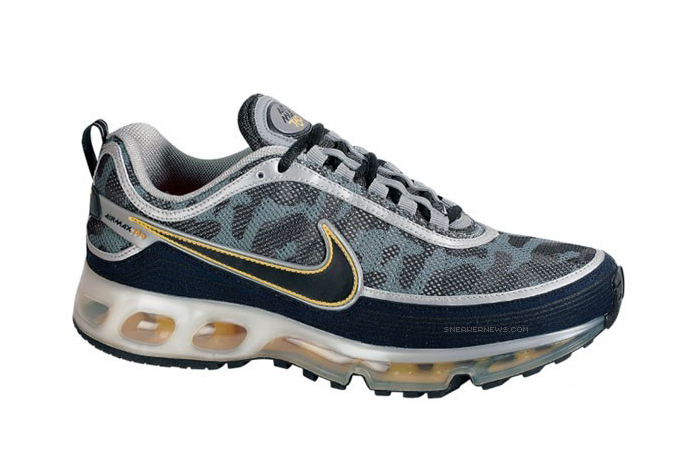 Not only was this shoe a jaggedy masterpiece of design in the upper, but the logo it shares with the Air Max2 on the tongue is an often forgotten gem from the Air Max line. When looked at side-on, this shoe looks like it’s in motion, tipping forward, something that the Nike designers of the time loved to put into their designs. Sitting in between the Air Max 95 and Air Max 97 is not an easy place to be, so it comes as no surprise that the Air Max 96 gets overlooked regularly. Sharing some similar design ques from it’s flanking brothers, the 96 keeps the upper classic in regards to colours and allows hits of neon to do the talking. The shape is smooth and rounded over-all, but features an oversized, sharp, tooth-like design across the entire upper. It’s a shoe that I could see doing well at the moment and would definitely break necks if someone dug out the Scream Green versions. There’s something about this shoe that reminds me more of late ’90s basketball designs rather than running designs and that fills me with nostalgia. This shoe hasn’t seen a reissue unfortunately, but has been given a modern makeover (and a pretty good one to be fair) in the form of the Nike Air Max 96+ Evolve from 2012. 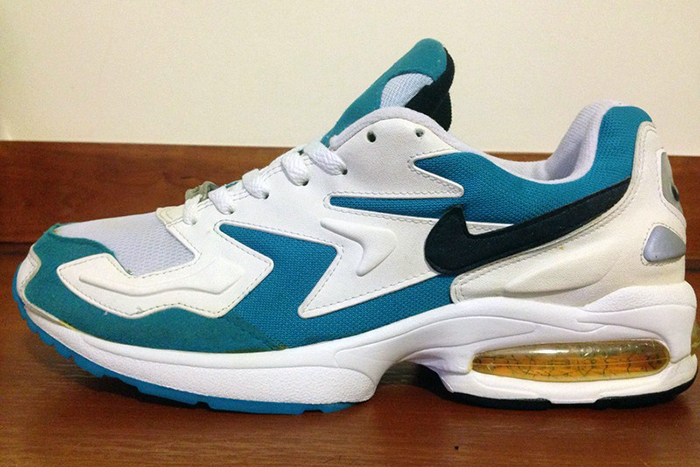 There are so many good colourways hiding in this shoe’s back catalogue. 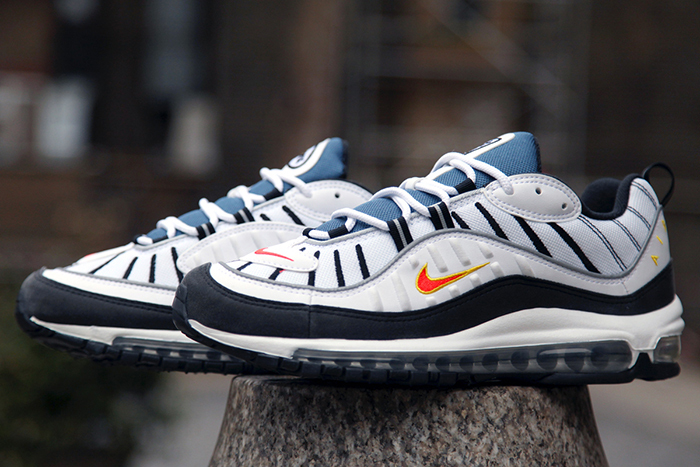 One of the often overlooked late ’90s shoes that has actually managed to get a reissue lately is the Nike Air Max 98. 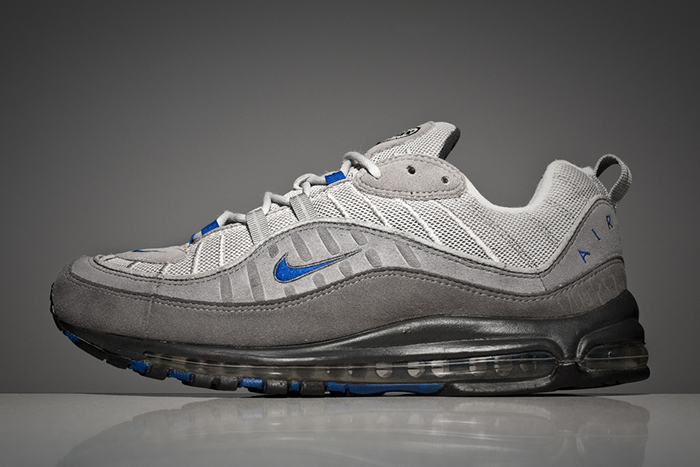 The 98 didn’t venture too far from it’s preceding Air Max 97, but developed the concept into what looks like a tougher, rougher piece of footwear. However, one of the unique highlights of the 98 is the colour palettes and more specifically the colours of the branding which often took on a two-tone approach that I hugely appreciate. This shoe was less space-age than the 97 and more representative of the colours and colour pairings of the time. I don’t know exactly what it is that makes me love this silhouette, but there’s something about it that sums up the brilliant ugliness of the late ’90s and I love it. 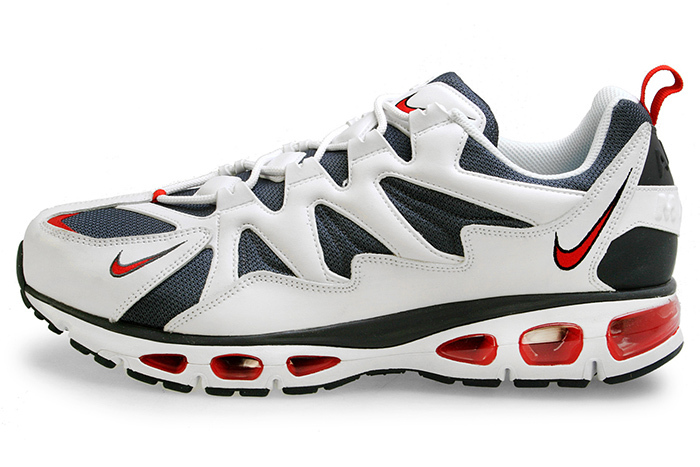 Also releasing in 1998 was the iconic Nike Air Max Plus, often referred to as the TN. This shoe has a special place in British culure, especially when pared with a Burberry cap and I’m amazed that the ’90s throwback kids in the cooler parts of London haven’t started digging for TN’s. Surely these are ready for a comeback through reinterpretation? 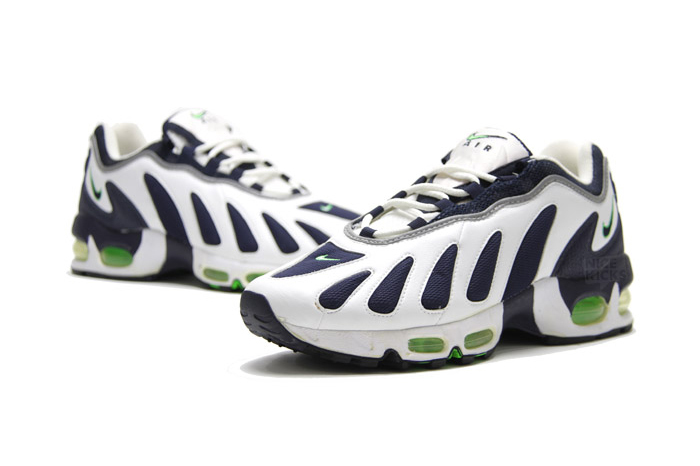 Regardless of their place in British culture, the Air Max Plus was the first Nike shoe to feature Tuned Air system, comprising of 2 opposing polymer hemispheres that rebound against one another to absorb shock. 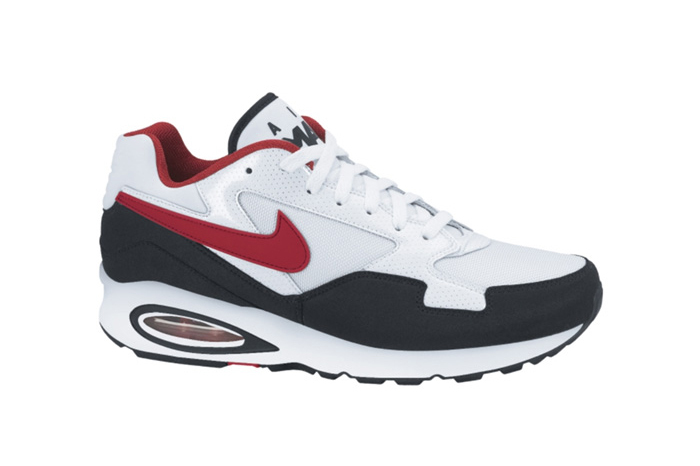 It was another revolution in the Air Max line and technology. Along with the new technology came new branding and the striking TN logo on the outsole along with the Nike Air logo on the tongue. The fade colourways are instantly recognisable as was the synthetic webbing on the upper, both features that have made their way onto non-related Nike shoes further down the line. Now, these kicks were highly popular in the right circles (especially in London and France) and Nike have actually released over 100 different colourways of this shoe, but I have included them in this list because I feel that the majority of British sneaker heads still underrate it and that’s what this list is about. 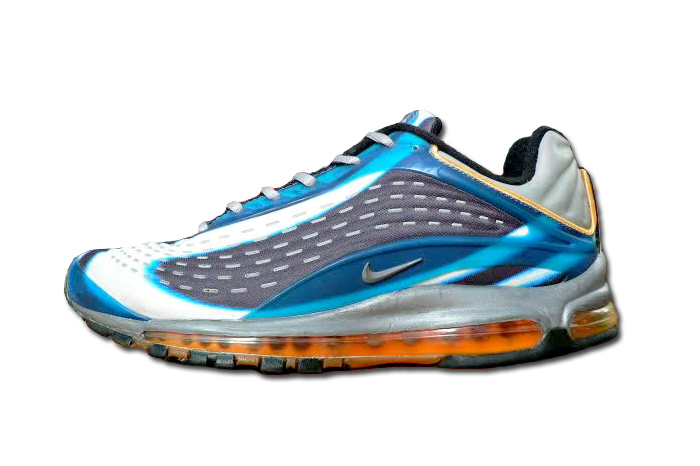 The Nike Air Max Deluxe is actually a pretty ugly shoe if I’m being honest, but there’s something alluring about it, about it’s vintage futuristic appeal. It’s the ’90s equivalent of the ’70s sci-fi films and how they portrayed the future and space. 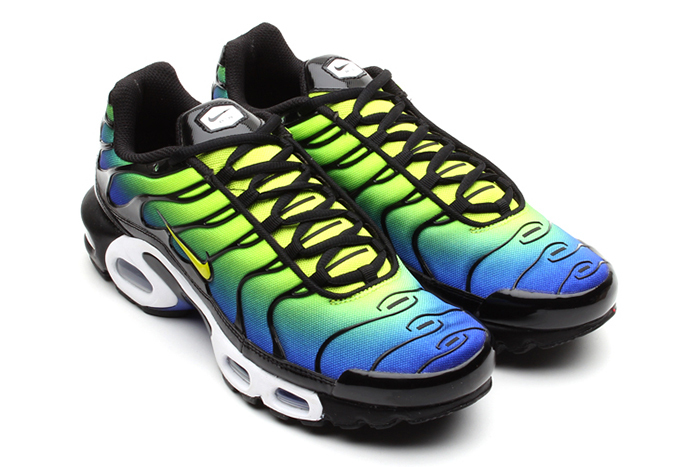 To me, this shoe is the late ’90s vision of the future with it’s smooth curves and multi-layered sections that don’t block out what’s underneath. The shoe uses the same Air unit as the Air Max 97 and share’s it’s lust for space-age design, but there’s something much more exciting about the design of the Deluxe’s upper. The combinations of materials and processes all on display – Nike were really showing off with this one. The Air Max Deluxe called for an era of seamless footwear with it’s welded upper marrying the synthetic cloth with the TPU exoskeleton as if by magic. This shoe is the forefather of all seamless Nike’s that followed and a direct influence on the Air Presto (one of my favourites). The Air Max Deluxe ended Air Max’s first full decade with a promise of a bright future. 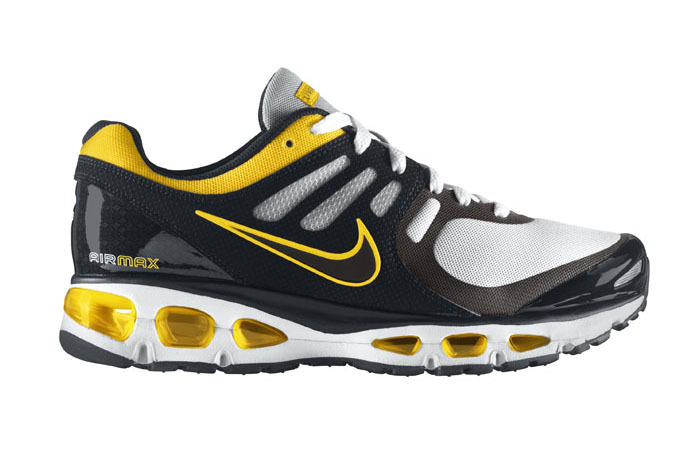 The Air Max 360 was a revolutionary shoe when it hit shelves in 2006 thanks to it’s lack of midsole, but it’s the Nike Air Max 360 II that followed in 2007 that requires some attention. Yes, the 360 is a great shoe, but the 360 II got rid of one of it’s worst parts – that bit of leather that crept up the middle of the toebox. It may well have served a function, but it’s hideous. The Air Max 360 II managed to bring in a lot of the charm of the Nike Zoom Spiridon (a true great from 1997) and slap it on that awesome sole unit from the 360. It’s quite literally one of the best designs to come out of the Air Max camp ever. I don’t really need to say much more about this shoe, but I will draw your attention to some of the best details on it’s upper including the wrap-around lace holders that you can see going under the side panels, the full mesh upper, the super smooth lines and the slight ribbing on the toebox. Magic. The Nike Air Max Tailwind line started in 1992 (a great shoe in it’s own right) merging the Tailwind line founded in 1979 into the Air Max line and it has kicked out some serious bangers in it’s time, most recently causing a stir on the internet with the announcement of the Air Max Tailwind+ 6, but it’s the Tailwind+ 2 from 2012 that I feel exudes the most underrated potential (not to be confused with the Nike Air Max Tailwind II from 1997). 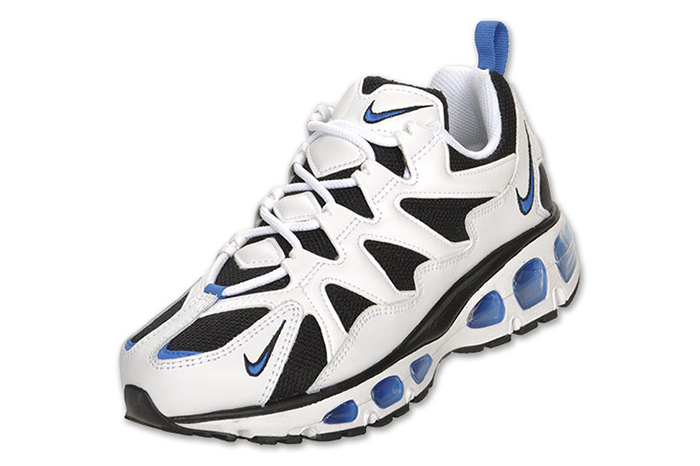 The Nike Air Max Tailwind+ 2 was the Air Max Tailwind just before the upper got really tech with the introduction of Flywire on the Tailwind+ 3. This model still retains that simplicity of cut leather and mesh that a lot of the earlier Air Max feature, but it also has a nice amount of technology from this decade, most visibly in the form of the seamless support on the upper. The chunky, aggressive midsole is reminiscent of the Air Max 360, except this shoe does have a midsole, giving it more of a typical “window” appeal. There were some great colourways in this particular model with some killer Livestrong versions also. I feel like this shoe could be one that starts getting reissued through collabs, but not for a while yet, it still has some ageing to do before people start digging it out of the archives. Personally, my fingers are crossed and I am eagerly awaiting. 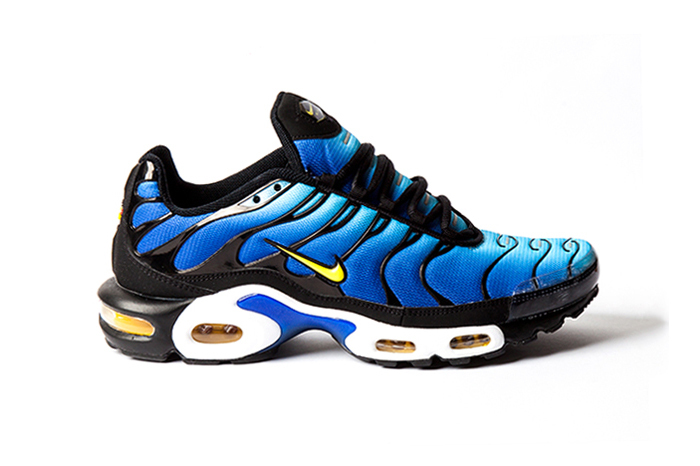 My last sneaker on this list is another Air Max Tailwind, but this time it’s a hybrid (and the only hybrid on the list), combining the modern sole unit of the 2012 Air Max Tailwind with the brilliantly ’90s upper of the Air Max Tailwind 96. 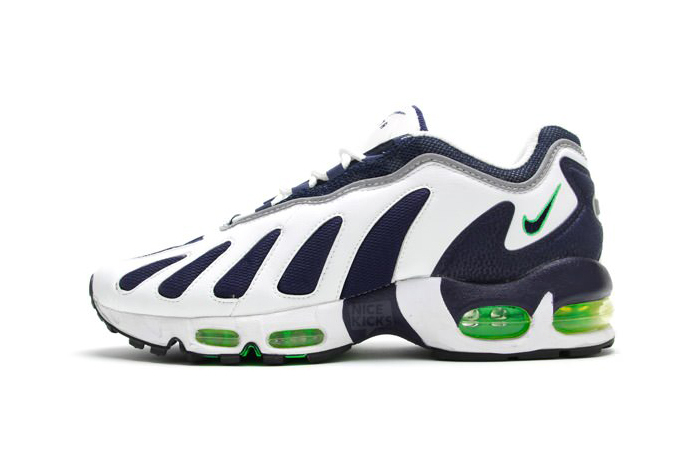 It crossed my mind to simply put in the Air Max Tailwind 96, it’s an incredible shoe that’s perfect in it’s own right, but this is an improvement in my opinion. I love how well the retro upper sits on the modern sole unit and it’s a credit to those in charge of developing the line that two designs 16 years apart work so well together. This hybrid thankfully saw quite a few colourways while it was around. 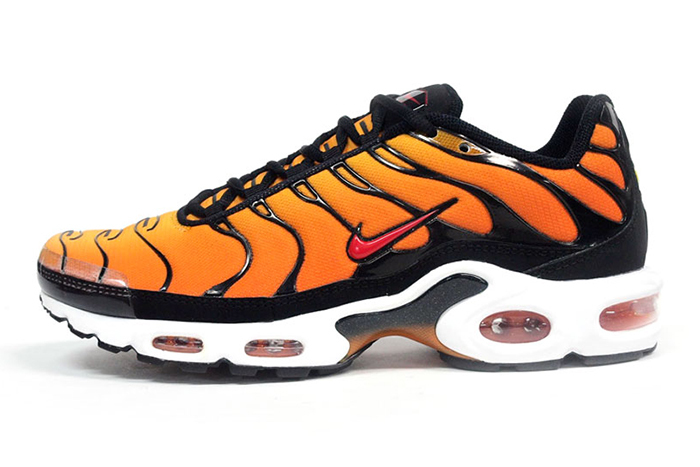 I’d love to see it hit the shelves again and with the way things are going at the moment in regards to the basketball footwear and ’90s footwear trends, I think it would do very well. Maybe it was a little ahead of it’s time? Like several late ’90s runners the 96 upper has a strong basketball appeal when on the foot, especially when raised up by the 2012 sole unit.